Oklahoma Connection | Rader was born in Bridgeport, Oklahoma and raised in Hinton. 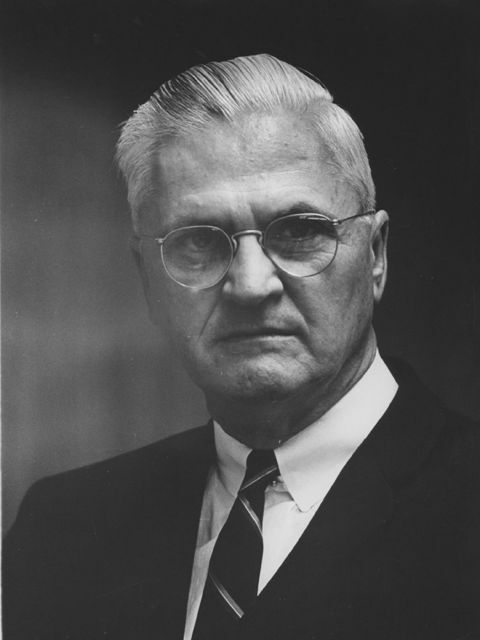 Before Lloyd Rader became director of the Oklahoma Public Welfare Department in 1951, he had been a rancher and worked in mercantile, hardware, lumber, implement sales, and construction businesses around the State. Oklahoma native Lloyd Edwin Rader graduated from Hinton High School and attended Southwestern State College in Weatherford, Oklahoma before receiving his Law degree from Oklahoma City University. In 1932 and 1933, he was County Relief Director under the William H. Murray Administration and was Chief Auditor of the Sales Tax Division of the State Tax Commission from 1933 to 1935. He was brought into State Government in 1951 by Oklahoma Governor Johnston Murray and celebrated 31 years as director of the State’s largest agency, the Department of Human Services. See pictures of Lloyd E. Rader and other media HERE.